Looking to try some new online slot games that differ from the traditional titles offered by Microgaming, NetEnt and BetSoft? Red Rake Gaming is the new kid on the block, offering a wide variety of awesomely unique, attractive and feature-packed games for online players. Read on to discover more about Red Rake’s casino software, it’s best slot games and where you can play at the best online casinos. Red Rake Gaming is a developer of online casino software, with a major focus on online slot games. The company employs over 40 staff members who are dedicated to producing high quality content for the online casino industry, with more than 50 real money slot games, 15 video poker variants, and several online bingo, roulette and blackjack titles on offer. This gaming company must be doing something right, as their slot games receive more than five million spins every single day, which equates to over 50 spins on a Red Rake slot game every single second. While the majority of Red Rake’s games are available for real money play, this software studio also provides social casino games for free play on social media platforms like Facebook and Yahoo! and are available via Google Play, iTunes and the Amazon Store. Games are available in 12 languages, including English, Russian, Japanese, French and German. 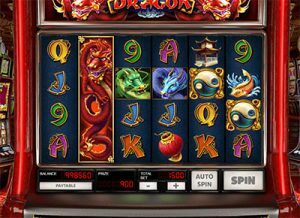 The Legendary Red Dragon – This Chinese themed slot game will appeal especially to those inspired by Chinese superstitions and iconography, with The Legendary Red Dragon seeped in red, which is believed to be a sign of luck and fortune in Chinese culture. The symbols are made up of dragons, lanterns, pagodas and koi fish, and we love the way the game has been designed to appear as though it’s based within a land based slot machine. The red dragon appears on all reels except the first, expanding to cover the entire reel and substitute all other symbols to form a winning combination. Free spins can be triggered with an appearance of multiple yin yang symbols. The Sherlock Files – Based on the beloved story of the great detective Sherlock Holmes, The Sherlock Files perfectly brings the old British tale to life, with the reels set against a cozy living room backdrop that will transport you to an old English fantasy. Designed with awesome 3D animation, it’s easy to see that a lot of detail went into every aspect of this game. The reels are filled with interesting characters scatted amongst criminal evidence like poison, guns, shovels and knives, with multiple bonus symbols on offer to boost winning potential and add to the entertainment factor. Hansel & Gretel – Red Rake takes the classic Hansel & Gretel fairy-tale and brings it to life in all its sugary glory! 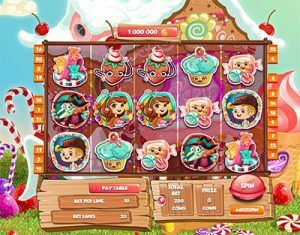 The five reels of this fabulous slot game are set against a gorgeous ginger bread house, with the screen decked out with candy canes, ice cream cones, gum drops and lollipops. It’s bright, pastel and uses animation suited to a kid’s cartoon, and Hansel & Gretel can’t help but appeal to the child within. Symbols are made up of all kinds of candy and cute characters, along with Hansel, Gretel and the mean old witch. An appearance of three or more of the joint Hansel & Gretel bonus symbols will trigger the bonus feature, activing free spins with boosted scatters. All of Red Rake’s slot titles are available for instant-play, meaning you can play directly over your Web browser (Safari, Chrome, Firefox, Explorer, etc) without having to download a thing. Many Red Rake titles have also been optimised for mobile and are compatible with iOS, Android and Windows Phone. In addition to the impressive portfolio of slot games, Red Rake Gaming also offers a smaller collection of online bingo and video poker variants, although there’s no doubt that the slots are the gold star of this gaming provider. 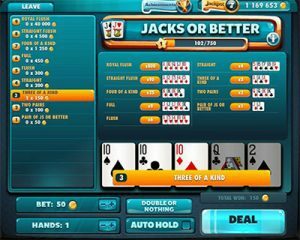 Video poker fans will be happy with the selection of games on offer, with titles including Jacks or Better, Joker Poker, Aces and Eights, Aces and Deuces, All American and most other popular video poker variations. 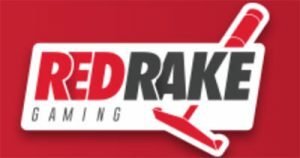 Red Rake Gaming’s video poker software is significantly more modern and visually pleasing than the video poker software available from bigger names like Microgaming, but is much harder to find when playing online. Red Rake Gaming slots can be round at our number one casino site, Slots Million. Slots Million is our go-to site for online slot games, with over 1750 instant-play slot games available from the largest selection of casino game software developers you will find anywhere on the Web. Not only does Slots Million offer the biggest collection of online slot games, it also extends a fabulous welcome bonus to new players and houses the world’s first ever virtual reality casino. Use the search function to filter games specifically by Red Rake Gaming software and sample as many of these games as you like for free in practice mode before choosing your favourites to play for real money bets. Eligible players at Slots Million can claim up to $100 in bonus money and 100 free spins to use on selected games when depositng real money to the casino for the first time. Sign up today to claim your bonus package and dig into the 1750+ online slots on offer including over 25 of Red Rake’s leading slot titles.